For those wanting to make a dramatic statement in their bathroom, the Dante freestanding basin is the solution. 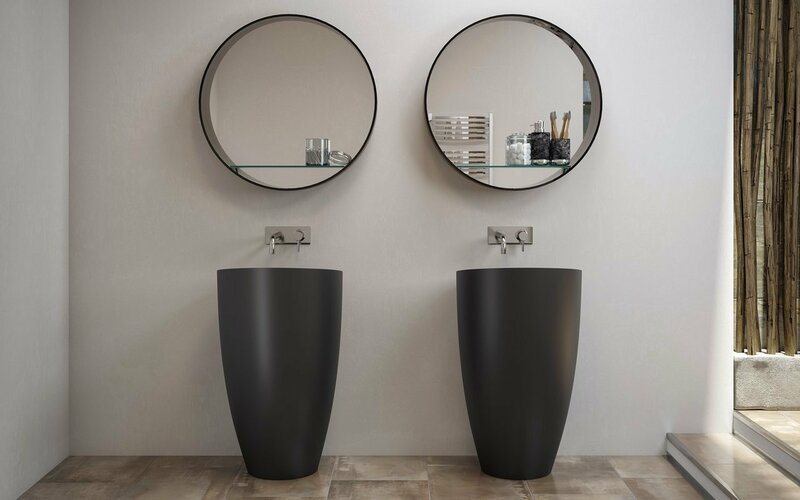 This stunning, modern architectural interpretation of a pedestal basin is almost an art piece in its own right, standing like a decorative ceramic pot but with function built-in. 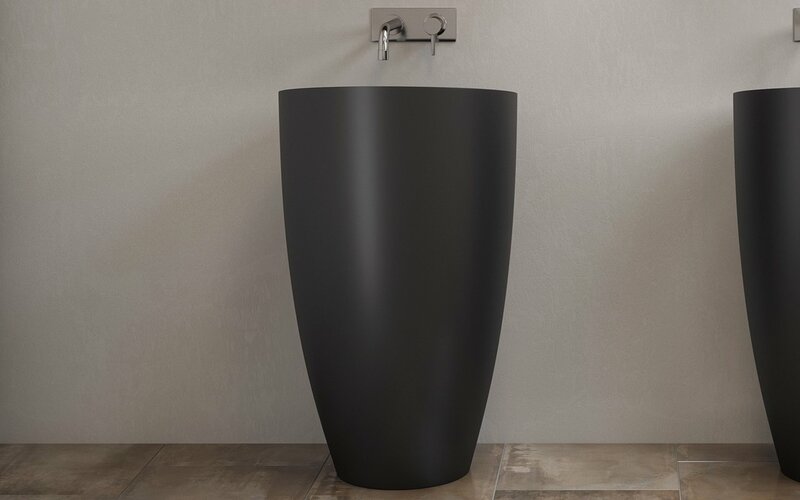 The piece stands 35.5" (90cm) at the front of the sink, sloping to (33.5") 85cm tall at the back, with a 7.9" (20cm) deep washing cavity which sits off-centre in the top, resulting in a wider back rim. Crafted from AquateX™ in elegant white or black color, it can be supplied with an optional tap hole in the rim. Fashioned to work with our beautiful AquateX™ basins, this Euroclicker Sink Drain in Black Stone completes your new sink perfectly. This up/down waste combines the hard-wearing, easy-clean properties of our immaculate, long-lasting composite stone with absolute purity of design for application to many of our AquateX™ sinks.